Today — the last day of 2017 — is forecast to be one of the coldest of the year. Temperatures will peak at about 17 this afternoon, then drop to around 13 at night. That should not deter anyone from First Night. In fact, it should inspire you! Sure, you’ll be chilly moving from event to event. But once inside the various venues, you’ll be toasty warm. And the outside stuff includes snuggle-close activities like horse-drawn carriage rides, stargazing and a warming fire. In fact, the only casualty of the weather is the fireworks display. 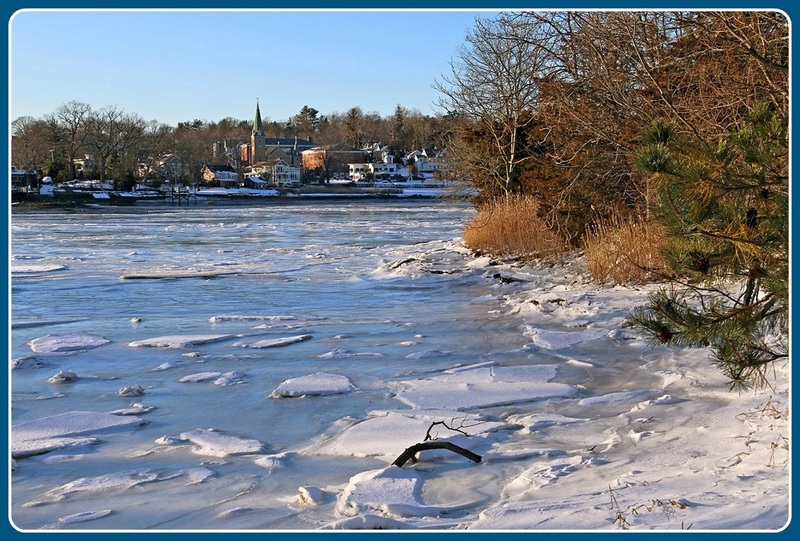 For good reason: The Saugatuck River is frozen. The barge can’t get on the water. So — even though First Night director/guru Barbara Pearson-Rac spent the day with fire officials and the fireworks contractor trying to figure out a solution — that’s been scratched. First Night kicks off at 3:30 p.m., and runs through 10. All you need is a button. They’re $15 each (kids under 2 are free), available online or at Trader Joe’s, Westport Library, Westport Historical Society, and Westport and Weston Town Halls. They’re also for sale during First Night itself at Town Hall and all venues. This entry was posted in Children, Downtown, Entertainment, Organizations, People and tagged Barbara Pearson-Rac, First Night Westport Weston. Bookmark the permalink. I am wondering if any one else had their parents relate the following to them: My Dad used to tell me about the winter when it was possible to drive a car to Cockenoe Island. I have no idea if it was a true story. I also remember stories of a really terrible blizzard, perhaps 1939? Perhaps these are just “tall tales”.